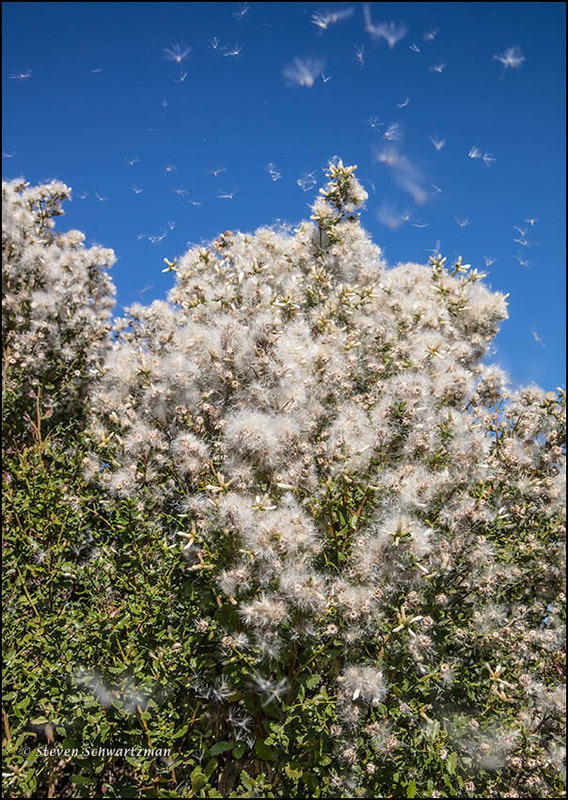 The previous post, taken on the cloudy morning of October 27 at Riata Trace Park in northwest Austin, showed some Baccharis neglecta in its fluffy state. Although you could appreciate the overall fluffiness, you couldn’t see the details of the soft tufts that the female plants produce as they go to seed. Here’s a closer look at another poverty weed I photographed at the same park after the sun had dispelled most of the morning clouds. 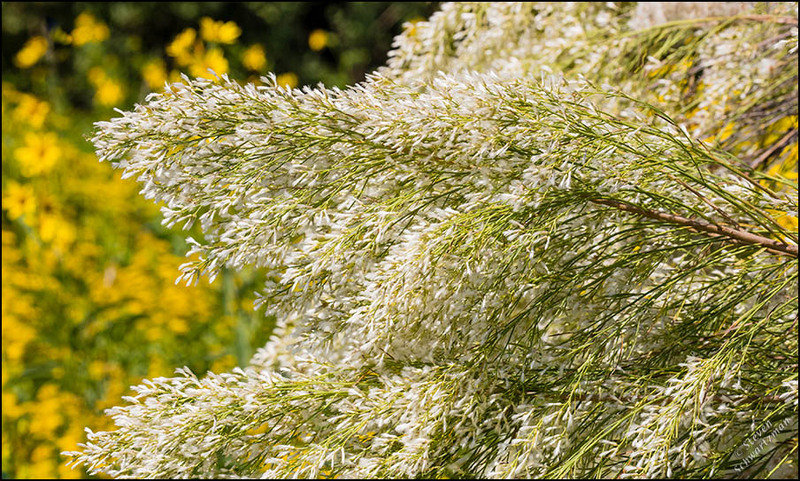 Who would believe that this species belongs to the sunflower family, and that this shrub can grow into a delicate, willowy tree as much as 10 ft. (3 m) tall? 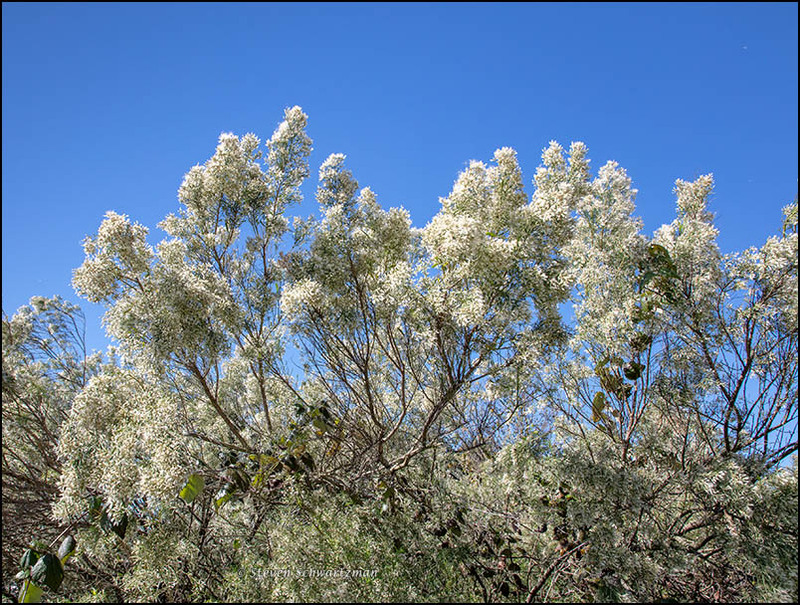 Baccharis neglecta is mostly confined to Texas, as you can see from the state-clickable map at the USDA website, but the similar species Baccharis halimifolia grows from east Texas along the Gulf coast to Florida and up the Atlantic coast as far as Massachusetts. 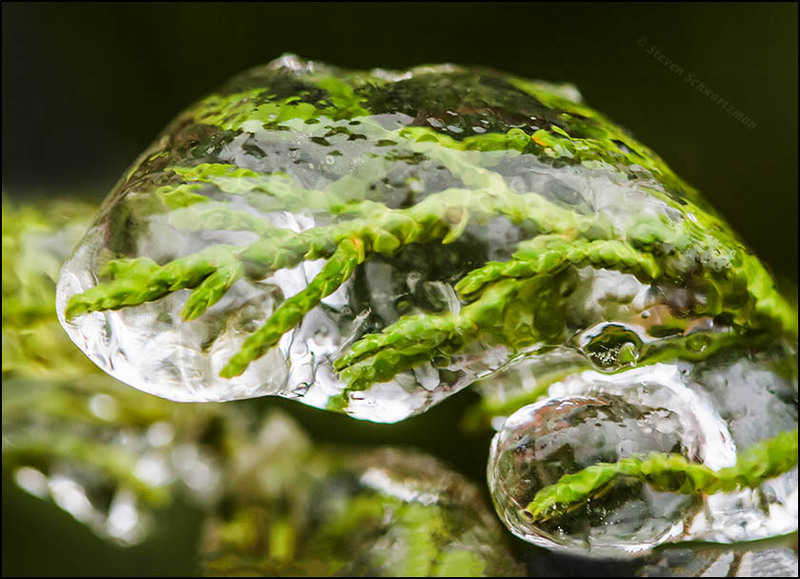 Baccharis neglecta; click for greater clarity. 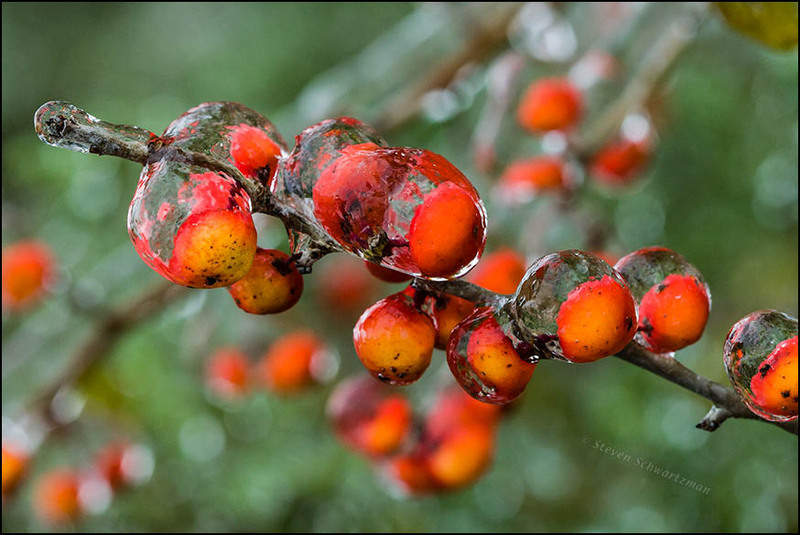 Though many of you up north have been having frost for weeks, or even snow, one of the delights a native plant lover in central Texas can look forward to each autumn is the frosty-looking form taken on by the “weak” bush or small tree—that seems to be the way field guides inevitably describe it—that botanists know as Baccharis neglecta. 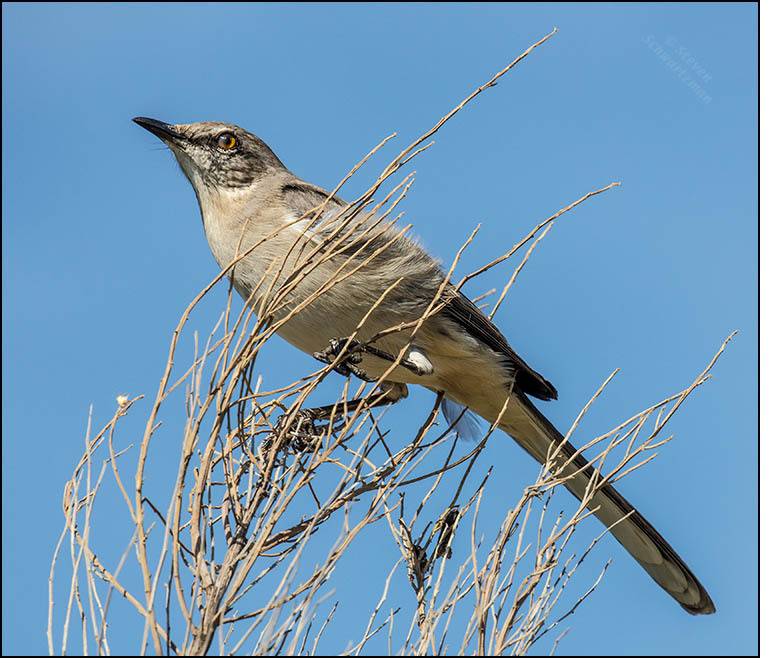 The species name is historically appropriate, because during the hard times of the 1930s, when many farmers were forced to abandon their properties, this species took advantage of the situation by planting itself on those neglected pieces of former farmland. People of that difficult era understandably came to call the bush poverty weed, Roosevelt weed, New Deal weed, and Depression weed. I photographed this Baccharis neglecta at Riata Trace Park in northwest Austin on the cloudy morning of October 27; that cloudiness accounts for the picture’s subdued tonality. Behind the bush you can see the leaves of a native grape vine and beyond them some branches of black willow, a tree often found near water. Baccharis neglecta is mostly confined to Texas, as you can see from the clickable map at the USDA website, but the similar species Baccharis halimifolia grows from east Texas along the Gulf coast to Florida and up the Atlantic coast as far as Massachusetts. 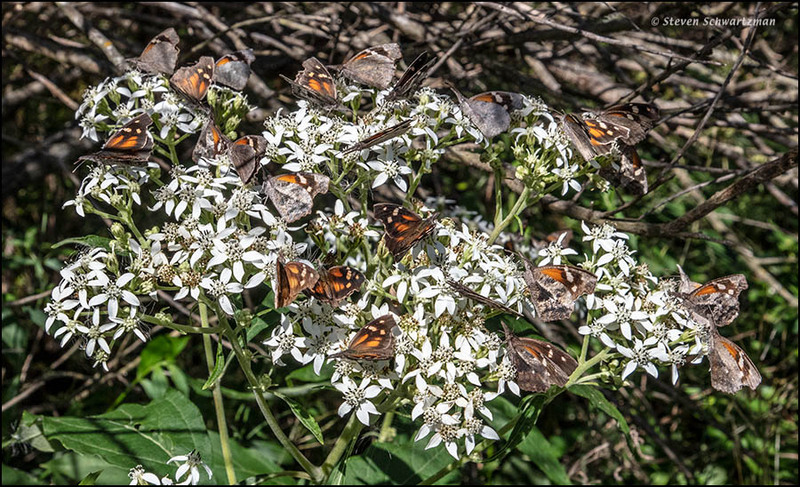 Where the previous post showed you a close and then an even closer view of an individual American snout butterfly (Libytheana carinanta), look at the swarm I found on some frostweed flowers (Verbesina virginica) on November 1st along River Place Blvd. I count at least two dozen butterflies in this picture. The autumn of 2018 has proved a good season for the species, which I’ve continued seeing in other parts of Austin as well. This multitude of snout butterflies came as a bonus because what I’d stopped to photograph was some poverty weed (Baccharis neglecta), as shown below with another bonus in the form of native grape vines (Vitis spp.) climbing on the bushes. 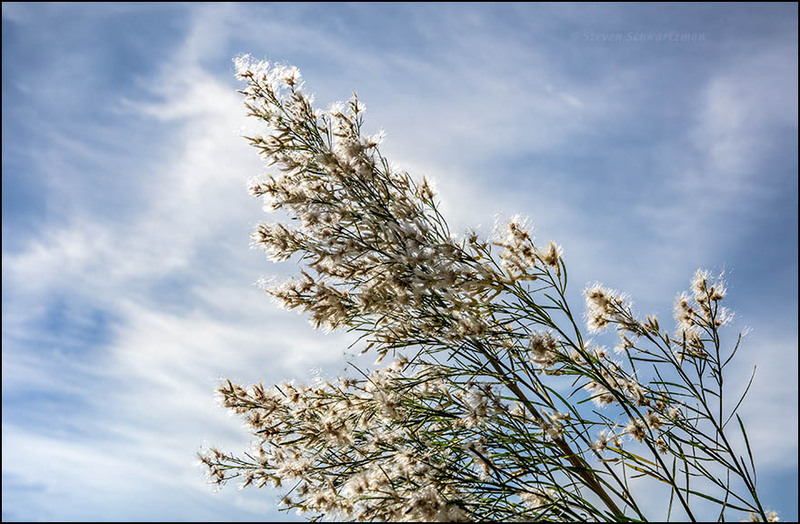 If you look carefully, you may also pick out one or two or three bits of breeze-wafted poverty weed fluff in the air; that’s how this species spreads its seeds. * A search for “multitudinous snout butterflies” got no hits, so you are probably the first people in the history of the universe (after me) to be reading that phrase. Happy novelty to you. Sometimes you get clouds that mimic your subject. 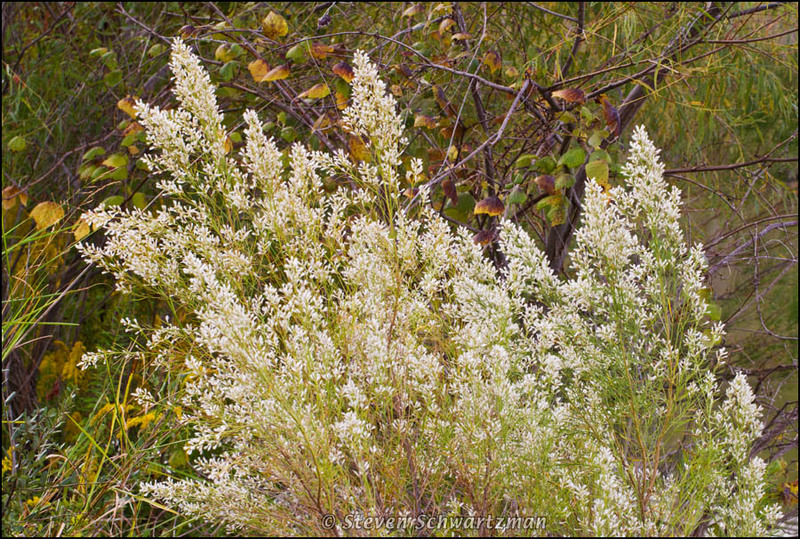 That’s the way it was on November 2nd when I went over to a poverty weed bush (Baccharis neglecta) I know in my neighborhood that had matured to the stage where it was casting its seed-bearing fluff into the breeze. 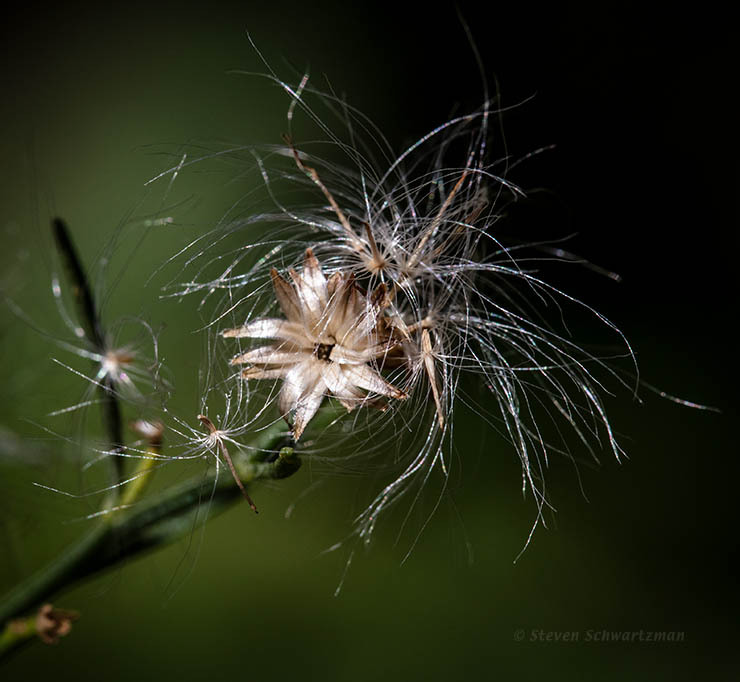 After the seeds and fluff from each tuft blow away, a little “star” gets left behind. More nice ice next time. 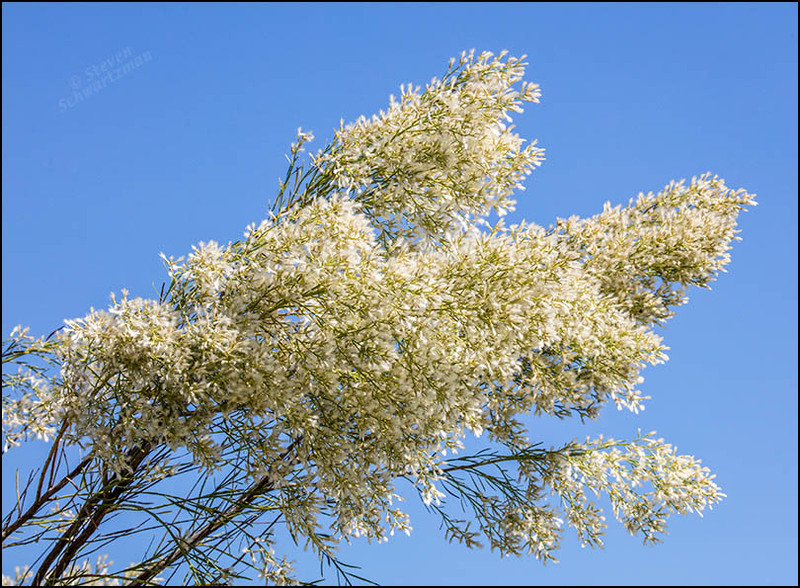 Here you have two closer looks than last time at Baccharis neglecta, a shrub or slender tree known as poverty weed, which in the fall produces no poverty of fluff. 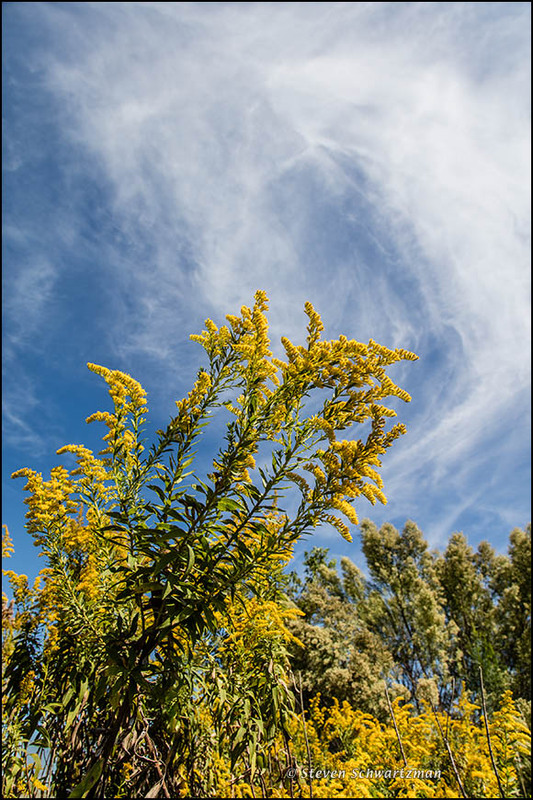 The yellow in the background of the second picture came from Maximilian sunflowers, Helianthus maximiliani, and goldenrod, Solidago spp. Notice the characteristic herringbone pattern of the small branches. 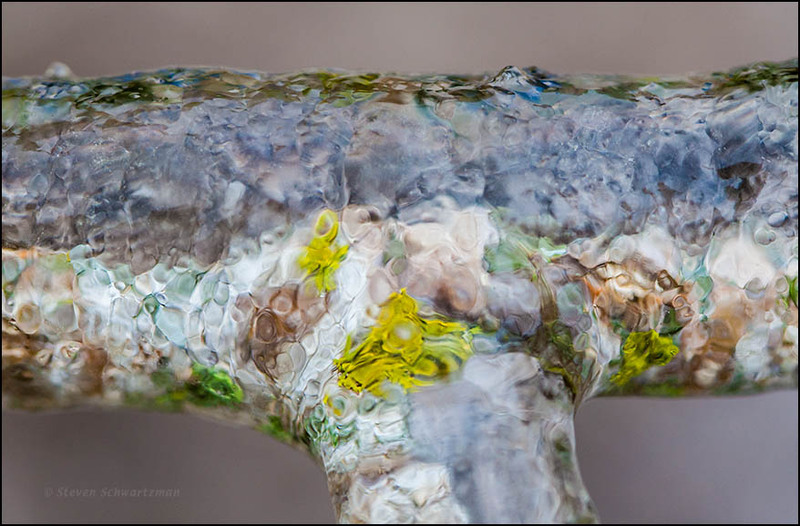 I took these photographs in a “vacant” lot on the west side of Grand Avenue Parkway north of Royston Ln. on October 12. If this is a vacancy, no one need apply to fill it. West side of Grand Avenue Parkway north of Royston Ln. on October 12. 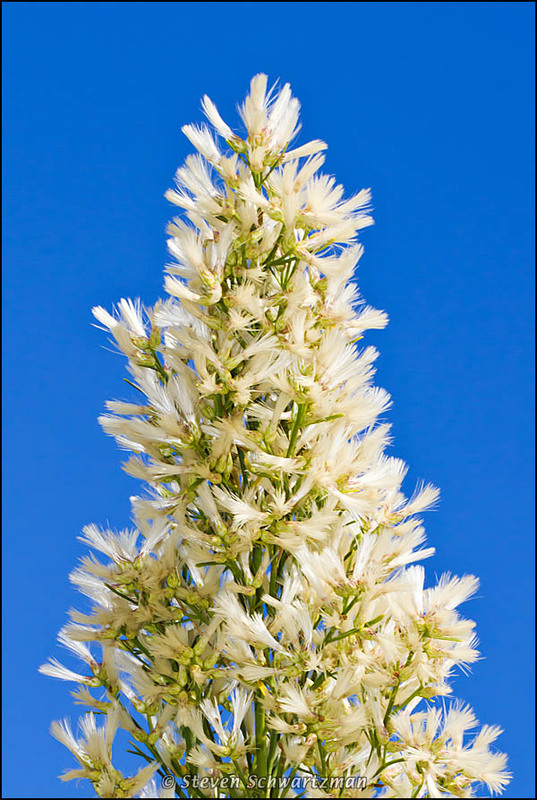 Fluffy white: poverty weed, Baccharis neglecta. Nearer yellow: goldenrod, Solidago spp. Farther yellow: Maximilian sunflowers, Helianthus maximiliani. On October 10th I turned in at 4800 Manor Rd., a place where I’d never taken pictures. It used to be a part of Austin’s Mueller Airport, which shut down in 1999, and I discovered that I could drive out onto sections of the old airport’s parking lot. The paving was mostly still there but plants had reclaimed portions of ground in various places. One recolonizer was poverty weed, Baccharis neglecta, which you see at the lower right. 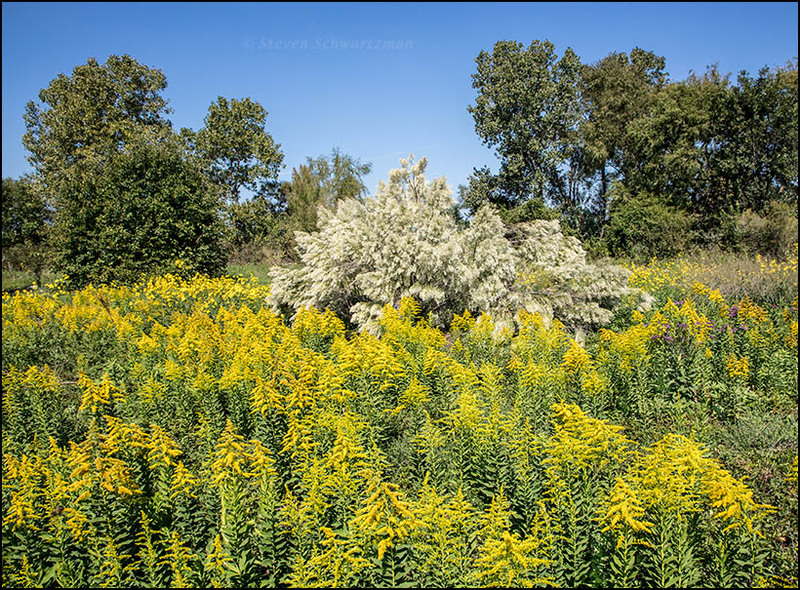 My primary subject here was a luscious stand of goldenrod (Solidago spp.) that I got down beneath to play it off against the day’s wonderfully wispy clouds. I attribute those great clouds to dissipating airplane contrails, a fitting background for a portrait made at a former airport.